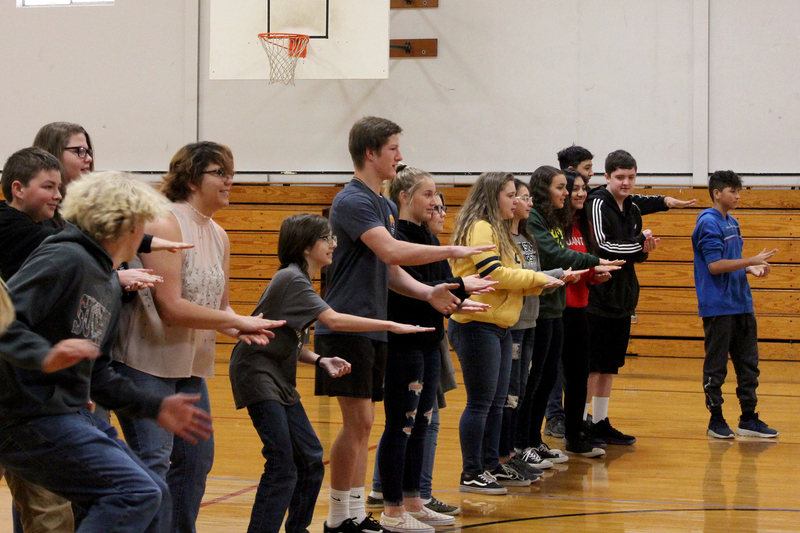 Sutherlin Middle School students took a break from standard PE activities recently and instead received some valuable lessons intended to serve them far beyond their time in the gymnasium. At the ring of each bell signaling a new period, seventh- and eighth-graders shuffled into the gym to participate in December’s FFA Middle School Leadership Challenge. PE teacher Brooke Deaton stayed on the sidelines for the lessons of the day, and Sutherlin High School’s FFA members took the reins. Sutherlin middle and high school students participate in the FFA Middle School Leadership Challenge. 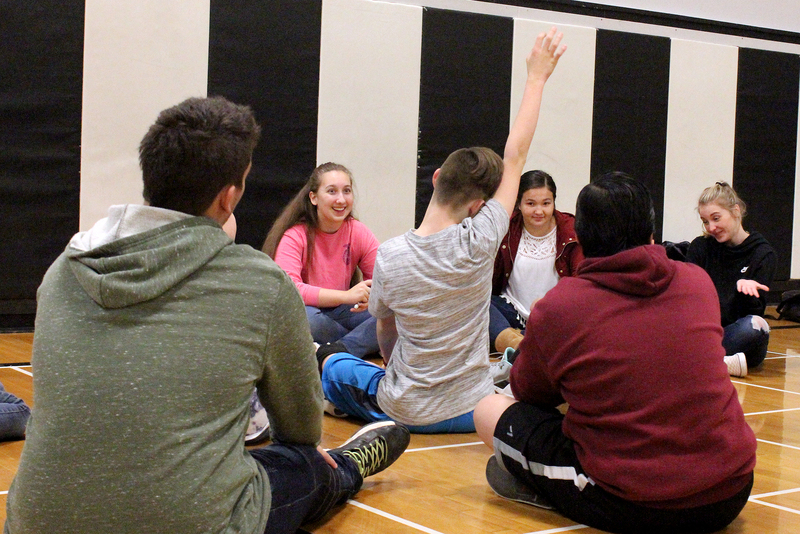 Variations of “Rock, Paper, Scissors,” tag and other games functioned as team-building “challenge courses” meant to teach leadership, communication, collaboration and other skills that students will need throughout their schooling and future careers. “It’s fun to connect with younger kids and show them how meaningful FFA is and also how important leadership is,” said Regan Leatherwood, a Sutherlin High junior who serves as the FFA chapter’s secretary. Leatherwood and her fellow FFA officers spent two days facilitating the leadership challenge, promoting their organization and the opportunities it affords high school students while giving their middle school peers a taste of what effective leadership looks like. Leadership skills are highly prized by employers, and affording students the opportunity to grow in this capacity helps them prepare for life beyond high school. As Douglas County schools increasingly emphasize career-connected learning opportunities, programs like FFA are putting the “fun” in job skill fundamentals. 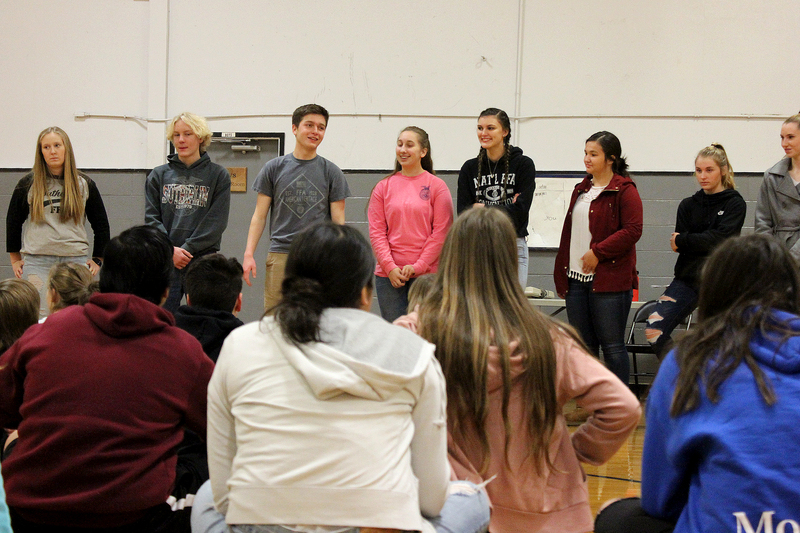 Many of the Sutherlin FFA members look back fondly at their own middle school years, remembering how impressed they were by the older students who came to visit during past leadership challenges. Sutherlin High School FFA members speak to middle school students during the FFA Middle School Leadership Challenge. Following each activity, the FFA students chatted with the middle-schoolers about the exercises, and what lessons were embedded in each. When asked about FFA, some of the younger students referred to the organization by its former name, Future Farmers of America. The high-schoolers were quick to explain that FFA encompasses a wide range of activities in the agricultural sector and in general focuses on leadership, personal growth and career success. “We’re here trying to explain the aspects of not only leadership, but what it can bring you in everyday life,” said Sutherlin junior Case Wells. The FFA members shared their stories of traveling throughout the U.S. for various competitions, as well as how their membership has helped their academic careers in high school. Sutherlin High School junior Regan Leatherwood (pink shirt) speaks with middle school students during the FFA Middle School Leadership Challenge. Deaton, the PE teacher, said it’s valuable for middle school students to see how mature and professional the FFA leaders are. Hopefully, the younger students will be inspired. “They learn from people they look up to, and I think that that’s the most impactful thing,” Deaton said. Bright Futures Umpqua, an initiative of Douglas County Partners for Student Success, seeks to highlight the positive work going on in school districts like Sutherlin and to support other Douglas County efforts to teach students the skills they need to be successful in the job world.